For the Australian player, see Kira. For the player sometimes known as "Kira", see KiraFlax. Kira is an American smasher who mains Fox and formerly mained Sheik. He was formerly a member of the reputed crew SoCal Elite 4. Before his retirement from Melee, he was formerly ranked 60th on the SSBMRank 2015, 86th on the 2016 SSBMRank and 14th on the NorCal Melee Power Rankings. His most notable tournament success was at I'm Not Yelling!, where in bracket pools he defeated Laudandus before losing to Lucky, after which he successfully made top 6 after defeating Sherigami, HugS, Shroomed and KirbyKaze, eventually losing 0-3 to Leffen to secure 5th place. He is well known for running a YouTube channel called SSBM Tutorials, in which he demonstrates and explains the functions of various characters, as well as having guest tutorials from players such as HugS and Lucky. 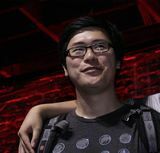 Kira announced his retirement from competitive Smash in April 2017, due to a hand injury sustained at Smash Summit Spring 2017. However, he has since competed at GENESIS 5 and The Mango. SCSA West Coast Circuit #1 December 6th, 2008 17th ? ? This page was last edited on April 13, 2019, at 13:47.